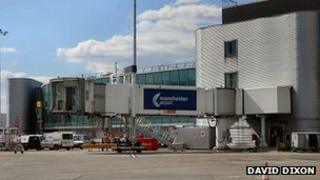 A man has denied attempting to smuggle £1.6m of heroin through Manchester Airport within a chapati maker. Appearing at Manchester Crown Court, Muhammad Khalid, 44, from Birmingham, pleaded not guilty to the importation of a Class A drug. Border Force found 35kg (77lbs) of the drug in the luggage of a passenger on 7 June. It is thought to be the "biggest single" Class A drug find at the site. Mr Khalid was remanded in custody to reappear at the court on 15 October.